Russia violated the European Convention on human rights in its handling of the 2002 hostage crisis at a Moscow theater, the European Court of Human Rights ruled on Tuesday. The court in Strasbourg ordered Russia to pay about 1.3 million euro in compensation to the 64 people who filed an appeal, including the victims of the terrorist attack and relatives of those who died during the liberation of hostages in October 2002.The compensation will amount to between 9,000 and 60,000 euros for each claimant. In the court’s opinion, “the victims of the tragedy were not provided with adequate medical aid after the federal security services used some unknown gas,” cites Itar-Tass.As a result, a large number of hostages died along with the terrorists. In addition, the tragedy was not efficiently investigated. Thereby, “The Russian authorities violated the basic rules of the European Convention on human rights,” the court stated. Meanwhile, Russian deputy justice minister Georgy Matyushkin – who represents Russia in Strasbourg – does not rule out that Moscow may appeal the verdict within three months. The decision will be known after the Russian side examines the decision thoroughly. “We will see if there are any grounds [for it to be appealed], and whether they are strong enough,” he told Echo Moskvy radio station. 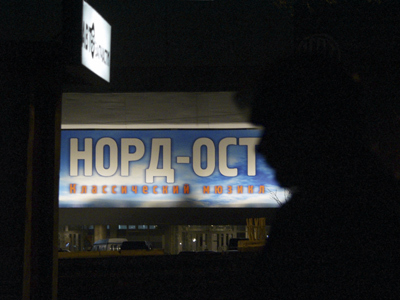 On October 23, 2002 a group of 40 Chechen terrorists broke into the Dubrovka Theater in Moscow while a popular musical show – “Nord-Ost” – was being performed on the stage and took over 900 people hostage. The standoff between the attackers and the authorities continued for three days, while hundreds of people lived through a nightmare in the theater auditorium. The terrorists refused to surrender and on October 26 the authorities made a decision to storm the building. Russian special forces pumped an unknown gas into the hall through the theater’s ventilation system to make the hostage-takers lose consciousness and began the hostage rescue operation. As a result of the raid all the terrorists and also 130 hostages lost their lives – many of them through gas poisoning. Georgy Matyushkin told Interfax on Tuesday that Moscow was satisfied with the European Court’s ruling that Russian security forces did not violate the European convention when deciding to storm the theater captured by terrorists. “The European Court of Human Rights did not find any violations of Article 2 of the European convention concerning the (Russian) authorities’ decision to raid the building and the usage of special means,” he said. 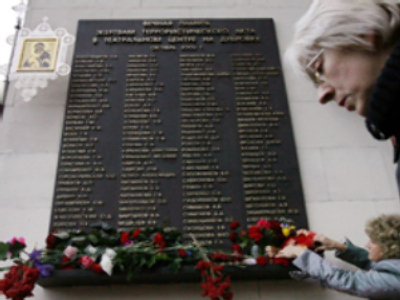 In 2003, lawyers representing victims of one of the deadliest terrorist attacks in Russian history filed an appeal to the Strasbourg court over the violation of human rights and demanded 50,000 euro in compensation to each of the plaintiffs. Four years later, in 2004, the court took the case into its jurisdiction.